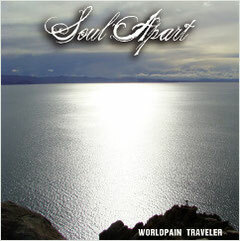 I listened to your songs from the new album ‘Worldpain Traveler’. I got the impression that your music sounds like a folk metal with a pretty melancholy sound and lyrics. What do you describe on the album? 02. ... For Us All! What about the album cover artwork? It looks like a silver ocean or something. Where did the idea come from? I heard your band had the South Europe tour in 2010. Any particular reasons or purpose on the tour? Tell us something about it. How was the reaction of the people over there? Oh yes...it was a really nice experience!!! We were touring promotion the band in Germany, Greece, Spain and finally in Portugal with Duncan Patterson (Íon, ex-Anathema, ex-Antimatter). We had interviews and about the concerts it were awesome, we were completely shocked about the reaction of the crowd, but the most important thing is that a lot of new people knows the band since that tour!!!! If you have an opening act in a big band live, which band you would like to be with? Do you have any plans for another tour in this year? 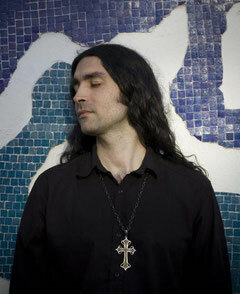 This we will continue promotion the new album, playing some gigs in Argentina and a possible tour in South America. Also we are re-collecting old recording sessions and do it news ones for a new album of rare versions, unreleased tracks, covers, etc to be released over this year!!!! Your band has started as an acoustic project in 2004. What made you change your way to progressive sound? Currently you have the music video ‘ROAD TO SELF’. Do you have any plan for making one from the new album? If you do, which song and when to make? Lastly, Id like you to answer this. 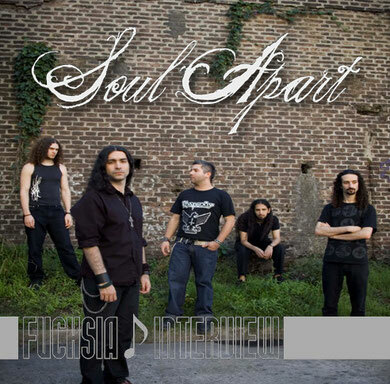 Tell us what kind of your band SOUL APART is, when you would say in a word? Experiment...a constant experiment that want to join technically music hard to play and introspective passages to elevate your mind to think in another way!!! !